Was Mike a parking lot attendant before becoming one of Gustavo’s henchmen? That’d be one crazy life if he was. Parking lot attendant to drug kingpin henchman/world’s greatest grandpa. This isn’t a surprise as Mike was already announced as a cast member for the show, but it’s still nice to see his beautiful bald head back on my TV screen. ‘Better Call Saul’ has some high expectations to live up to, but hopefully bringing back some of the old cast can recapture the magic of ‘Breaking Bad’. Half Measures – Jonathan Banks, who played the gruff fixer on AMC’s Breaking Bad, has signed on for a series regular role on the prequel spin-off Better Call Saul, our sister site Deadline reports. Banks will reprise his role as righthand man to/enforcer for Bob Odenkirk’s Saul Goodman; Breaking Bad fans will remember Mike as someone who (Spoiler alert!) was killed by Walter White toward the end of the original series’ run. The network previously announced that the one-hour spin-off, scheduled to bow in November, ”will focus on the evolution” of the morally-challenged counselor before he became Heisenberg’s defender. The prodigal son has returned. Mike was my favorite character on ‘Breaking Bad’, and I’m still not over what happened to him by the lake (damn you WW!). But God has answered my prayers and brought him back, this time pre Walter White. ‘Better Call Saul’ was already on the top of my list for fall 2014 TV shows, and my excitement for the show has grown even more with the addition of Saul’s enforcer. 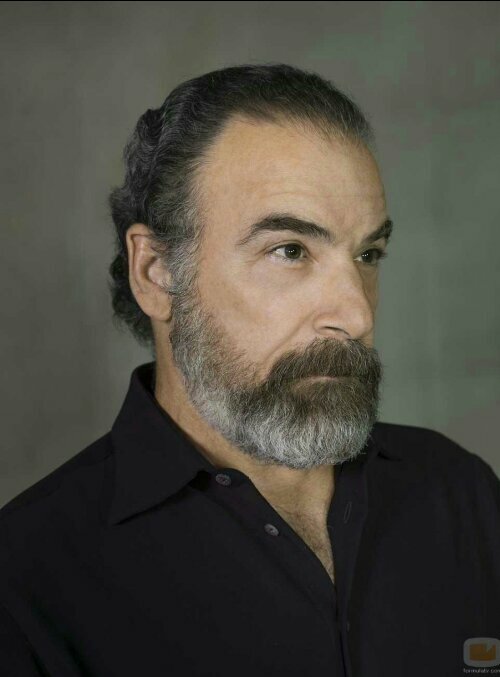 Mandy Patinkin Shaving Off His Beard is a Crime! What the hell Saul, Mandy, whatever. When you have the rare ability to grow out such a beautiful beard, why would you ever shave it? Millions of men around the world stare at that beard in reverance. And now it’s gone. This a crime against humanity. He should be locked in a jail cell and then they should throw away the key. Just don’t throw it too far, because Saul is the only good character in Homeland right now. AMC and Sony Pictures Television confirmed today that they have reached a licensing agreement for a spinoff of Vince Gilligan’s landmark AMC/SPT series Breaking Bad. As conceived, the new series is based on the show’s popular Saul Goodman character with the working title Better Call Saul. Plans call for Saul to be a one-hour prequel that will focus on the evolution of the popular Saul Goodman character before he ever became Walter White’s lawyer. Perhaps after someone writes a script they’ll all decide that this is a bad idea. Or maybe they’ll shoot a pilot and decide they don’t like it. But if nothing else this means that a bunch of creative people are going to try to make this show. I tend to agree. But I’m still curious to find out. And the prequel route seems like the way to go; for one thing, it means we still don’t know whether Saul Goodman will make it to the end of Breaking Bad alive. And even if he does, I can only assume he’d want to follow up the Walter White saga with some peace and quiet. Better to see how he ended up in the dubious place he had reached when Walt first found him. It must be Breaking Bad Thursday. Awesome news from AMC and Vince Gilligan, as everybody’s favorite crooked lawyer is getting his own well deserved spinoff. Details are obviously still sketchy, but many believe (including the article above) it could be a prequel to Saul’s days before Heisenberg. Breaking Bad as a Romantic Comedy…You’re Welcome? Ok this is a little bit weird, but I’ve watched it 3 times and can’t get enough. Really funny stuff. PS- If that doesn’t get you excited, how about these Save By The Bell/Breaking Bad mashups on YouTube’s Geek Week? Featuring all your favorite characters from the hit 90’s TV show! Did I mention Dustin Diamond plays Saul!